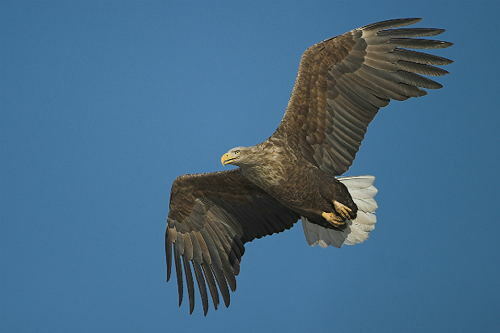 The National Sheep Association (NSA) is extremely disappointed by the decision from Natural England to permit the release of 60 individual sea eagles onto the Isle of Wight over a five-year period, a process due to commence this summer. “NSA is frustrated that consultative procedures and impact assessments have not be done properly or thoroughly and frustrated too that this release will go ahead with the reality of these birds being released into an environment with depleted natural food stocks (something we are told constantly). NSA was first made aware of the proposal some months ago and has been supporting farmers to counter the release. Additionally, it has written in detail to Natural England echoing and emphasising the very serious concerns farmers have about the release. NSA is pleased that the birds cannot be released before a monitoring and management group with representation from key stakeholders and sectors has been established and expects to be invited to be a part of this group.